Boosting your child immune system the natural way doesn’t mean you are leaving them open for viruses to attack. In fact you are doing the opposite, you are building up the immune system to do exactly what it naturally do “Defend”! I’m No Different Than You And Just Like So Many Others, When It Was Time For School To Start, My Children Shot Record Was Updated & Ready. And Now You Can Feel Safe Too. 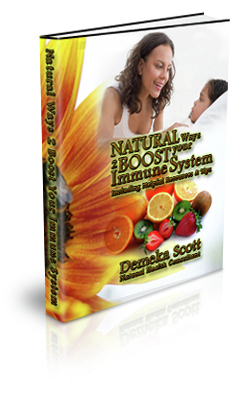 The purpose of this book is to give you vital information on how to naturally boost your (child) immune system.